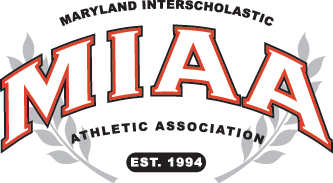 Dulaney’s boys basketball team waisted little time exerting its dominance over Archbishop Curley, Friday night, as the Lions opened their 2018-19 season with an impressive 79-47 win over the Friars in a contest played at Johns Hopkins University. Dulaney outscored Curley 23-4 in the opening quarter and that pretty much decided the outcome. The Lions received points from 11 different players as coach Matt Lochte was able to go to his bench early and often. Sophomore star Ryan Conway led the scoring parade with18 points, while junior Cameron Byers netted 17 points. In addition, sophomore Isaiah Cornish scored 14 points and junior Che Evans, Jr. added 10. Leading 38-18 at the half, the Lions ended all doubt with a 16-8 surge in the third quarter. Curley (1-3 overall) was paced by 13 points from junior Caleb Johnson and senior Travis Dobbins added 10. AC: Dobbins 7, Johnson 13, Boykins 10, Carroll 2, Gray 3, Lawson 1, Brandon 3, O’Banner 2, Bert 5, Odom 1. DUL: Harper 2, Webster 3, Conway 18, Evans Jr. 10, C. Amoruso 6, Byers 17, Cornish 14, Millings 4, McGee 2, Schmidt 2, Morris 1.